Even if you aren't planning a divorce in your marriage--you may be a child of divorce (or even of multiple divorces)--or you may have siblings going through a divorce or you may be seeking to support nieces or nephews or family friends as they, or their parents, divorce. I was a child of divorce. Although my parents divorced when I was an infant, the impact of that situation was immense in my life. Especially when my father (whom I had never met) accidentally moved into the house next door to me as I began junior high and I was thrust into a family and a relationship that I really didn't want and couldn't really comprehend as a 13 year old. 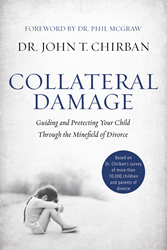 While I wasn't sure what I would learn or feel or discover as I read author John T. Chirban's case study on the collateral damage of divorce--I felt compelled to read it. What were my thoughts on Collateral Damage by Dr. John T. Chirban? In the many scenarios of divorce and separation, children suffer greatly—often in silence, as parents do not know how to effectively guide their kids. But the failure of a marriage does not have to mean the end of the family. Providing a stable, supportive, healthy relationship with the child demonstrates what a loving relationship looks like, better preparing them for intimate relationships and marriage as an adult. 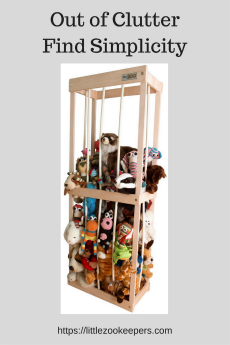 Written by Harvard psychologist Dr. John T. Chirban, a frequent guest on Dr. Phil, Collateral Damage shows how parents can manage their own hurt, shock, anger, and despair so that they can provide their children with what they need. The Case Studies and Interviews were Eye-Opening. Dr. Chirban shared quotes and thoughts from a large number of interviewed subjects as they shared their experiences with divorce. Whether it was shared by a 20 year old or a 50 year old--the stories shared many of the same painful sentiments. No matter the culture and society norms around you--a divorce changes not only the family--but, the family members--in so many ways. Although my personal situation was different than many of the stories presented in this book--many of my personal feelings toward family and relationships---and myself were shared. Dr. Chirban shares his own experiences. Honestly. Even the experts have doubts and make missteps when the emotional turmoil of divorce hits home. While the author may well understand all of the underlying issues related to the disruption of the family home/life--he found himself making mistakes as he navigated his own divorce and its aftermath. He found himself in many of the same situations that the interviewees present. While his story is not the on the forefront of the book--he weaves some of his own divorce story into the mix as well. And--it seems that he did try to follow his advice and redirect when the path became muddled or misguided. This wasn't a "do as I say, not as I do" sort of book...it was a book of learning and revelation. For both author and reader alike, I think, at times. I think the author learned a lot from his personal experiences and his case studies--and was able to share much more than his doctoral education. Would I recommend Collateral Damage by Dr. John T. Chirban? The book begins a little slowly. I began to read--and really felt for the first several pages (as in 20-30 or so) that I wasn't going to connect with the book. Then--the personal stories began. The individual thoughts and quotes and memories of real people affected by divorce in real families occurred with greater frequency. I began to relate to those feelings and thoughts--and the book made me remember things that I had thought were long forgotten. Then--I began to consider the rationalizations that so many of us make when the consideration of divorce arises. The book made me rethink my thoughts on what children understand (and at what ages) and the way that things are interpreted by them as they overhear things that may not be meant for their ears. This book surprised me. I thought I knew a thing or two about divorce and its effects on the family. I thought I had come to terms with divorce and its effects on me personally. When I say that Collateral Damage is eye opening--I mean that. 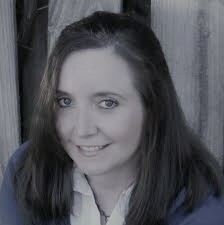 As parents, especially in today's society, we see our children as followers of "whatever we, as all knowing parents, determine is best"--but, this book will make you realize that your children develop views and ideals very early on--based on their own experiences and personalities--and losing that basic family identity to divorce changes much more than I really considered possible. I would recommend this book for anyone considering divorce or actively in the midst of the divorce process with children involved. I would recommend this book to children of divorce--no matter your age--even if you were an infant at the time and didn't feel that your parents' breakup impacted your life. I would recommend this book to caregivers and teachers of children of divorce. There are a lot of valuable insights offered in this book. Dr. John T. Chirban has taught classes about relationships, sexuality, and spirituality at his alma mater, Harvard Medical School, for more than thirty years. In addition to teaching at Hellenic College and Holy Cross, he has served also as professor of psychology and chairman of the Program on Human Development for more than thirty years. He is in high demand as an international lecturer on family and spirituality speaking frequently before professional organizations and national societies, and as a guest consultant for magazines, newspapers, and radio shows. Dr. Chirban lives with his children in Carlisle, Massachusetts.